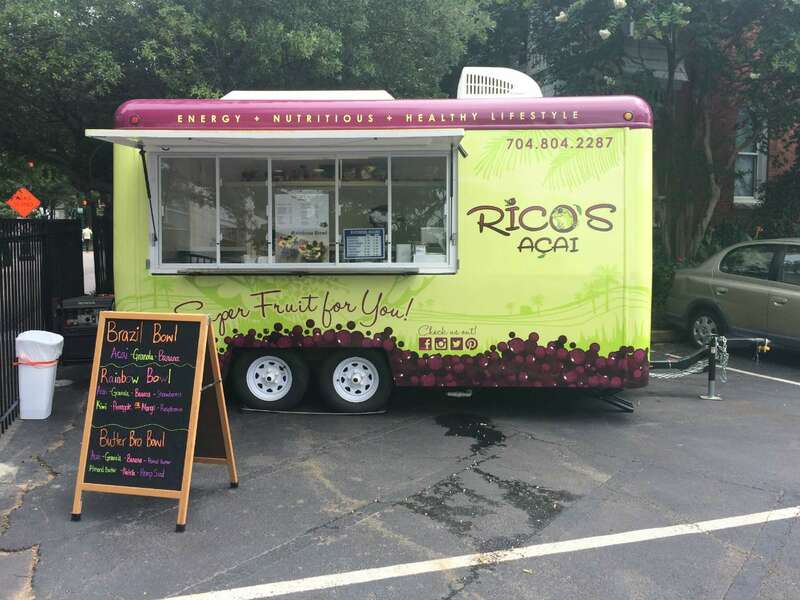 Rico’s Acai Food Truck opened Uptown at the end of July to thunderous online applause from health food fanatics. For the uninitiated (Ted Williams, who pronounces it “IKEA bowl”), an acai (ah-sah-EE) bowl is blended frozen fruit topped with fresh fruit, granola, coconut and assorted other healthy toppings. Primarily a breakfast food but appropriate any time of day, acai bowls have seemed to grow in popularity everywhere but Charlotte. Jamba Juice has been (as far as I know) the only game in town selling acai bowls in Charlotte proper. 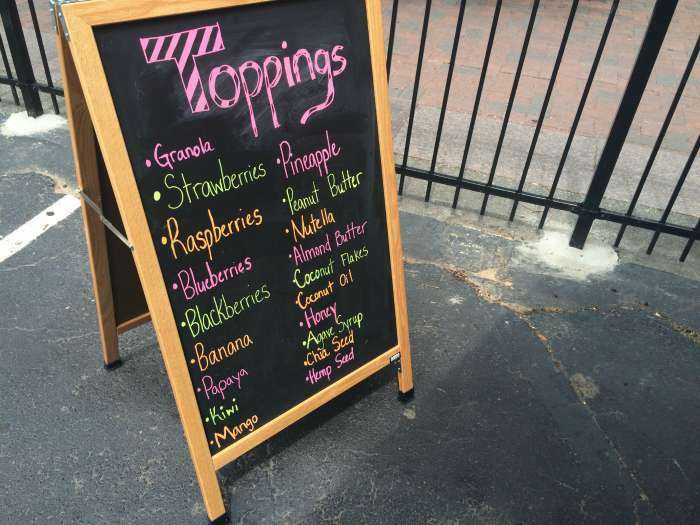 (Although Clean Juice up in Huntersville rolled them out earlier this year, too.) Where there’s a hole in the food market, there’s room for a food truck. 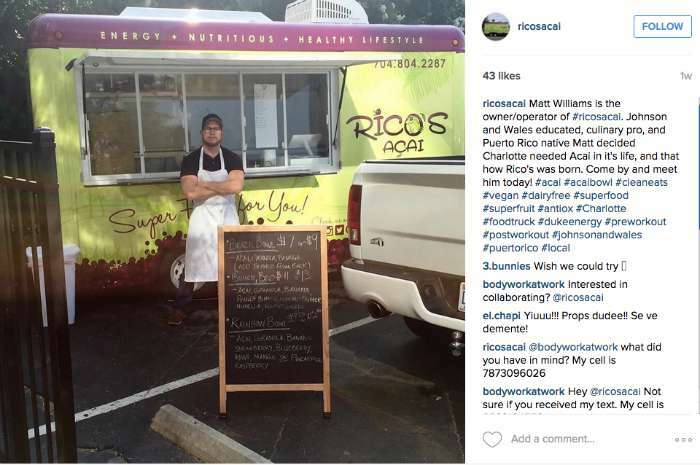 You’ll find Rico’s bright green truck parked Uptown in the lot across the street from Duke Energy and the Mint Museum on Tryon Street. The concept was created by Johnson & Wales graduate Matt Williams. Rico’s has some regular items (Brazil Bowl, Rainbow Bowl, and the Butter Bro Bowl) as well as build-your-own custom options. Prices range from $7-11 for small and $9.50-$13 for large. 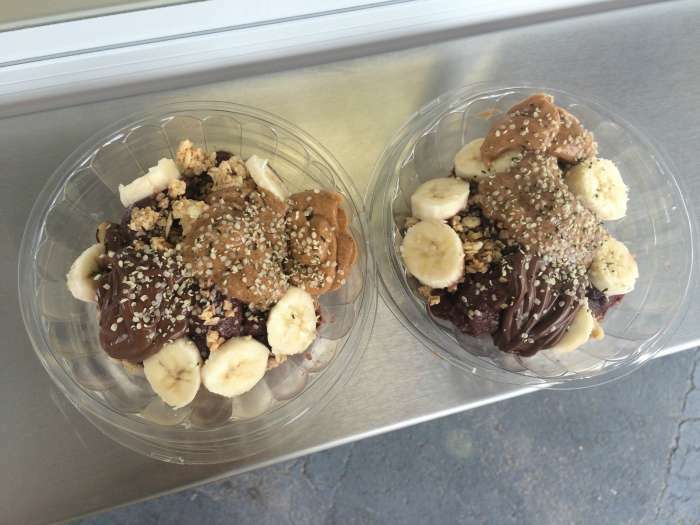 We went with two small Butter Bros, which is the standard blended acai base topped with granola, banana, peanut butter, almond butter, Nutella and hemp seeds. Yes. If you look at this as an ice cream-like dessert treat (which it’s not), it’s too expensive. But if you eat it as a meal replacement (as it’s intended), the sticker shock lessens. There weren’t prices on the board the day we dropped by so I think my eyes widened a bit at the $23 price tag. But, then again, it was lunch. I’m fully prepared to pay more for exotic health foods and especially organic items, and that’s what they’re selling here. I make smoothie bowls at home about six days a week using a blend of frozen berries and banana. For me, the end result is the same: a cool creamy bowl of pureed fruit loaded with crunchy toppings. 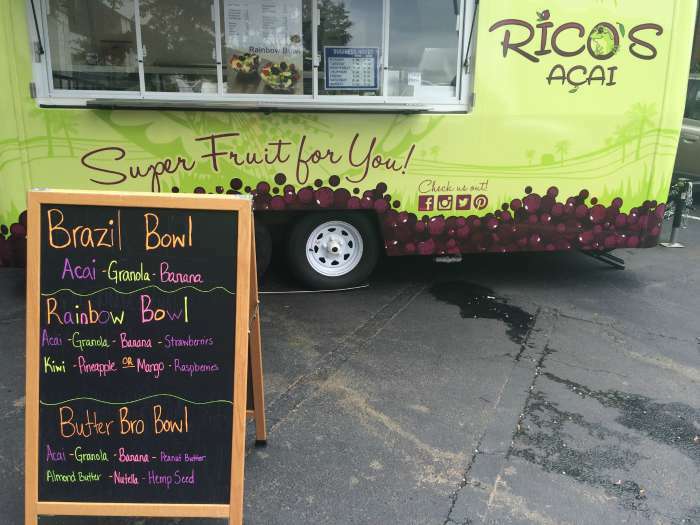 But for the acai purists who definitely want that superfruit in there, there’s Rico’s Acai Food Truck. Loved the Butter Bro Bowl (and my boyfriend did too).